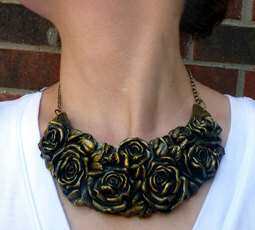 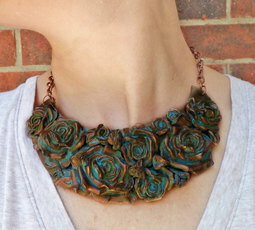 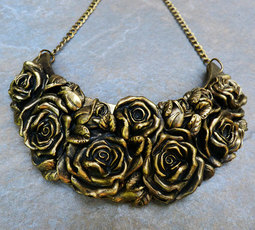 This exquisite bib necklace will be the piece of resistance of any jewelry box. 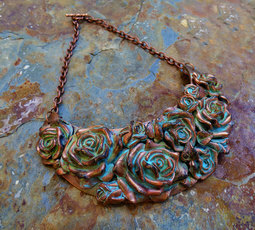 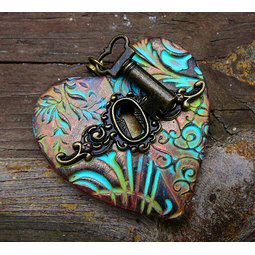 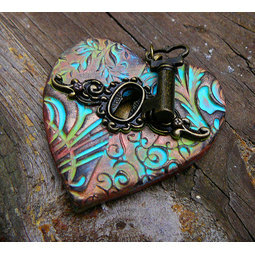 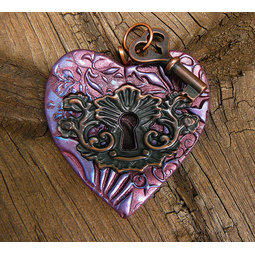 Made from polymer clay, this piece has been sculpted, sanded and painted by hand to give the appearance of copper and patina. 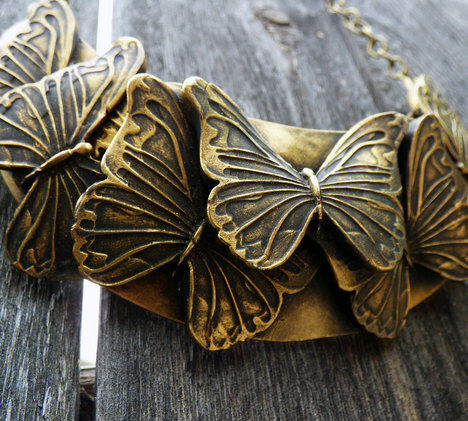 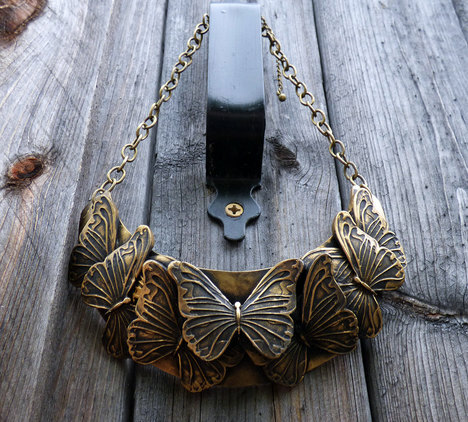 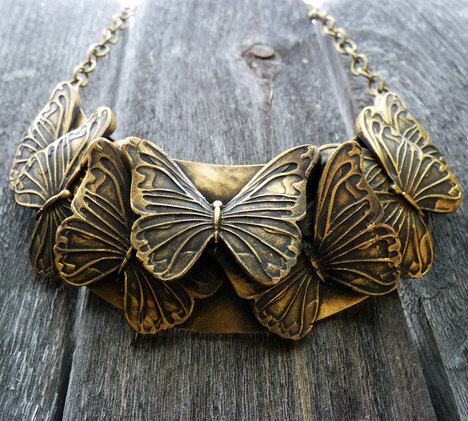 The old gold butterflies's bold design creates a the perfect look that cannot not go unnoticed. 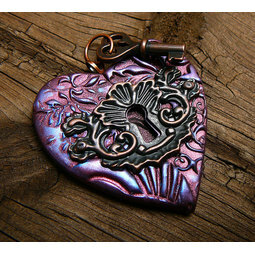 Body: 5" x 1 3/4"